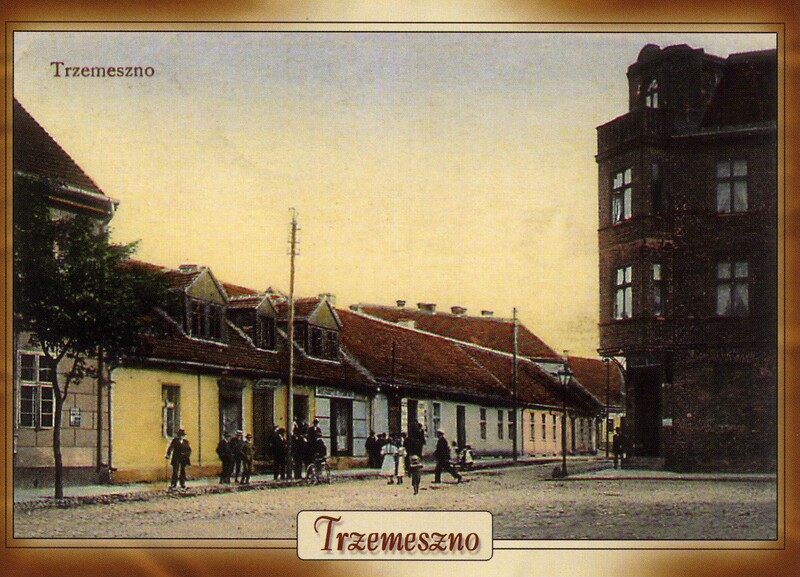 The one-story houses depicted are typical for the area of Poland around Trzemeszno, and some of them still exist in the city today. The large building on the right is not identified. A streetlight is visible at the corner and utility poles are placed along the edge of the street. Persmission granted by the Trzemeszno Historical Monument Lovers.